No mess mat protects floors from spills and splats! 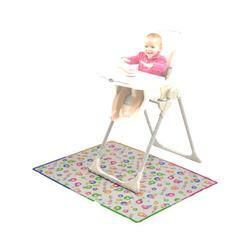 Place under highchair to catch spills and messes. Save your floor from spills and splats! Easy cleanup with damp cloth. Save your floor from spills and splats!